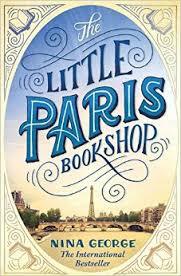 Internationally bestselling and filled with warmth and adventure, “The Little Paris Bookshop” is a love letter to books, meant for anyone who believes in the power of stories to shape people’s lives. “From the Hardcover edition. This is definitely not a novel to be rushed in the words of perdu himself if you would to do this you would defiantly give this novel a disservice.